and stops working after a certain period of time. After this, when the game is launched, it serves a message saying "You've played the game for 6 hours today," and prompts the user to come back at 5:30 am on the next day to continue playing. The only question as of now is when it will happen and how the public will react. 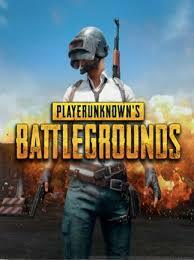 Over the last few months, PUBG has raked immense popularity in India and other parts of the world. The user-base of the game has grown so big that people have started raising addiction alarms, calling for a countrywide ban on the game. Notably, it has already been banned in Gujarat, owing to multiple reports of death. Iam above 18 years of age, but still I have a health reminder or is it for 6 hours or so.